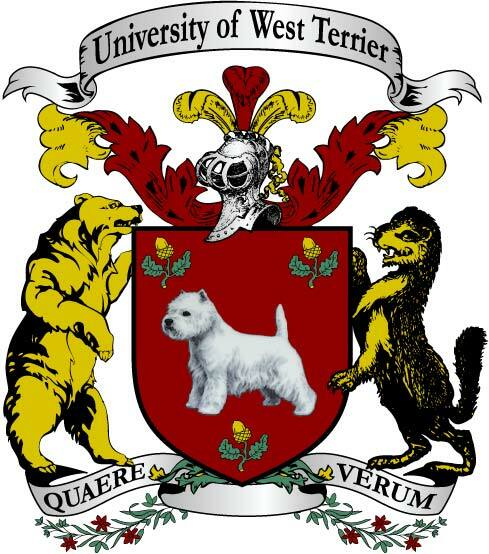 The President and Governors of the University of West Terrier are pleased to announce that Woodruff Dalmatio will join the faculty of the university. Dalmatio will assume the rôle of Official Comedian on 4 March 2018. One of The Park’s first standup comedians, Woodruff Dalmatio is the author of Fine Lines and Wrinkles: Standing up for Comedy in the Modern Park. The book, which won the 2015 Chitter Radio Literary Award in the humour category, also became a film. Directed by Ludmilla Ptak and starring Dalmatio, the film won rave reviews after it premièred at the 2015 Park Interspecial Film Festival (PIFF). More recently, Dalmatio was the guest speaker at the university’s open house on 29 January. He spoke to a record crowd of attendees on the subject of, “The Symbiotic Relationship Between Comedy and Higher Education.” He also spoke about the rôle and value of higher education in the entertainment business as a whole. The university will hold a meet and greet event for students and faculty. The date and time for the meet and greet has yet to be determined.